Do animals need toys? Absolutely! Toys can help dogs practice their nurturing skills by loving on a “baby.” Toys can also provide stress relief and mental stimulation. However, not all toys are created equal. 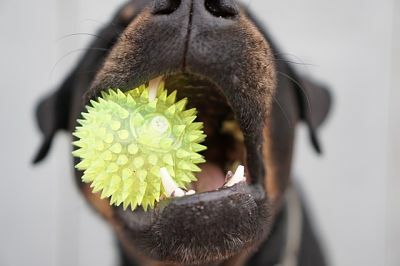 Here we discuss how to choose the best toys for your pooch! Size Matters! You wouldn’t give a small child a toy they could choke and, and you shouldn’t do it for your pet, either! When determining the size of the toy for your animal, take the animals size into consideration. A small chew toy meant for a small breed like a Chihuahua wouldn’t be safe for a large Golden Retriever or Pit Bull. When choosing a toy for your dog, think about if they could choke on it or tear it apart easily and choke on the pieces. If there’s even a small chance they might, keep looking. Materials. Consider the material the toy is made of. Avoid rawhide bones, which becomes soft when chewed and can get stuck in your dogs throat. Avoid flimsy material that may splinter into smaller pieces. These pieces pose not only a choking hazard, but sharp pieces can get stuck in gums or the soft tissue of your pups mouth, which hurts them and can lead to other serious problems like infection. Read the Label. We’ve all heard about toxic materials being used in kids toys and the dangers they pose, but it is also common in dog toys. High levels of heavy metals and lead have been found in animal toys. Common materials used in chew toys, like latex, contain harmful BPAs and phthalates. These harmful ingredients are released when your dog chews or licks the toy and the build-up can create toxicity in their system and, over time, can lead to illnesses such as cancer. Look for natural toys made from organic materials. Look for toys that are labeled “Non-Toxic” or “Natural Fibers.” Read the label and look materials up. Knowledge is the best way to keep our fur babies safe! The best way to know you’ve chosen a safe toy for your dog is to research. Become knowledgeable about materials used in their manufacture and what is safe and what’s not. Follow size guidelines and use your instinct on what kind of toy you think your pup would enjoy! 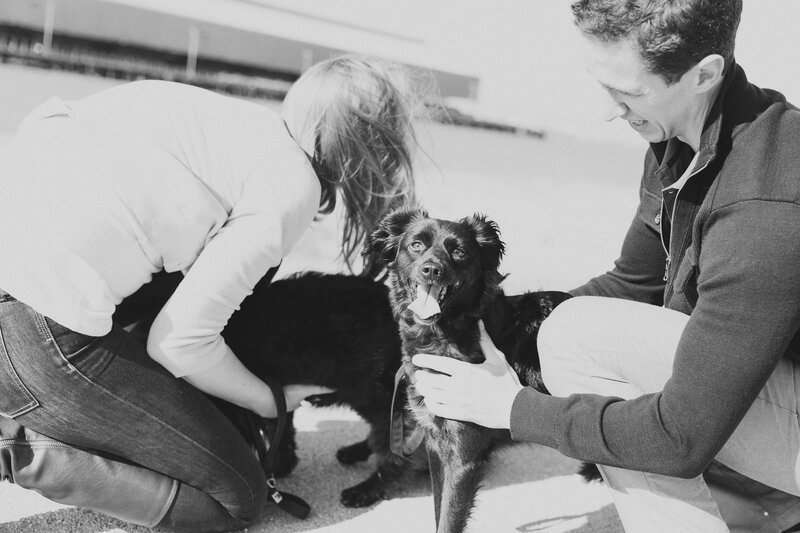 If you enjoyed this post, you should read Rescue Spotlight: Daisy here. What is your pup’s favorite toy? Share below!